Malta is the only EU member state not to have a single heritage food product protected by registration. Malta is the only EU member state not to have a single traditional food product registered to protect its heritage, according to a sustainable farming campaigner who believes it is time the ġbejna was put on the list. Jeannette Borg, who advocates for sustainable agriculture, told the Times of Malta that despite efforts to ensure culinary traditions were saved, the authorities were not doing their part. “It doesn’t have to take this long to get the ball rolling. We have been trying to move forward on this for years, but there just does not seem to be the will from some,” she said. Across the EU, products like Gorgonzola, Parmigiano Reggiano, cognac, Champagne and Herefordshire cider can only be labelled genuine if they come from a designated region and meet specific criteria. To qualify as Roquefort, for instance, the cheese must be made from the milk of a certain breed of sheep and matured in the natural caves near the town of Roquefort-sur-Soulzon, in the Aveyron region of France, and colonised by a specific type of fungus that only grows there. Three EU schemes, protected designation of origin (PDO), protected geographical indication (PGI) and traditional specialities guaranteed (TSG), promote and protect the names of quality agricultural products and foodstuffs. Ms Borg said the ġbejna was an obvious contender. The unique characteristics that make up the rounds of sheep’s milk cheese have already been studied and documented in a five-year project between the University of Malta, the University of Catania and a Sicilian dairy research centre. Ġbejniet, the project established, are made out of 100 per cent sheep’s milk, reared in local flocks. The cheese has particular nutritional values and can be fresh or dried – but using specific techniques. Why is it important to register the ġbejna? According to Ms Borg, the cheese is under threat. “There are several issues surrounding the production of this cheese, whether it is a lack of tractability or standards from some producers or others who are making cheese that is in no way a traditional ġbejna,” she said. Industry sources said the issue of a lack of registered Maltese products had also been raised at a recent meeting between the European Commission’s Directorate General on Agriculture and local stakeholders. The meeting, at the start of this year, identified a number of products that could be put on one of these lists. So far, however, little movement has been seen from the authorities. Questions sent to the Environment Ministry on the matter had not been replied to by the time of writing. 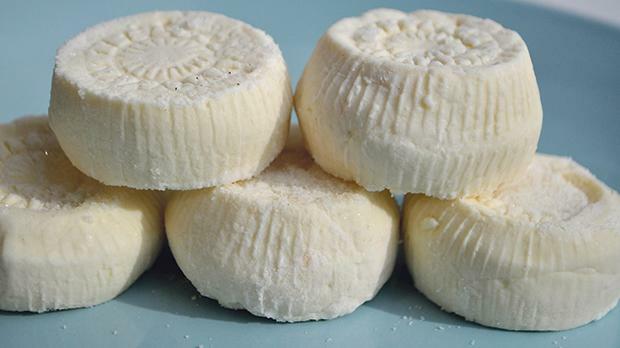 A group of ġbejna producers is concerned about the government’s plans to introduce new legislation regarding the production of the local cheese. The Sunday Times of Malta this week reported government sources saying the Cabinet was set to approve new legislation allowing small-scale ġbejna producers to bypass EU health and safety standards. Although the government sources, who have an intimate knowledge of the planned legal reform, said this was intended to protect the cheese, a group of producers, the Xirka tal-Produtturi tan-Nagħaġ u l-Mogħoż, believe the move is bad news. “This will not protect the ġbejna, it will kill it,” said the group’s general secretary, Jason Vella. On joining the European Union in 2004, Malta, like all other member states, was made to adopt wide-ranging health and safety legislation governing, among other things, food production. The EU allows derogations – legal exemptions – on traditional food products, but they have to be negotiated with the European Commission, all the member states and the local stakeholders on a case-by-case basis. Sources had said that the government, local stakeholders, the commission and all the member states had finally agreed on the number of sheep an exempt farmer could keep – the main bone of contention. Mr Vella said that not only had the local producers not agreed to this, but the government’s position was all wrong. Rather than finding ways to assist farmers to invest in EU-standard equipment, the government was fostering a situation where standards were slipping: “Without standards, we don’t know what milk is being used, whether it is sheep, cow or even powdered. We don’t know if they are being tested, if the cheese is even safe for consumption,” he said. There are some 10,000 registered sheep on the island and around 1,600 people with permits to rear them. Of these, just 60 are in line with EU regulations and 40 more are poised to fall in line. These producers submit their products to testing every fortnight. “We aren’t talking about building a factory. The cost is not astronomical, and the cost of losing the traditional ġbejna is far greater,” said Mr Vella.